Another probably stupid question. Assuming I swap out the operating system drive (the M.2), how do I go about transferring the OS files to the new M.2 drive? Can I copy the files to the 5400 drive, replace the M.2, make the 5400 bootable, then move the files to the new M.2 and then reenable the M.2 slot as bootable? That 5400RPM is gonna hurt. I’d probably trade it out for a 4TB 7200RPM first chance I get because the prices on those are very nice right now. If you have an additional M.2 slot, then just clone the existing M.2 drive onto the new one. I used a free EaseUS utility last year but I’m sure there are others/better ones out there. Do they give the motherboard specifications? 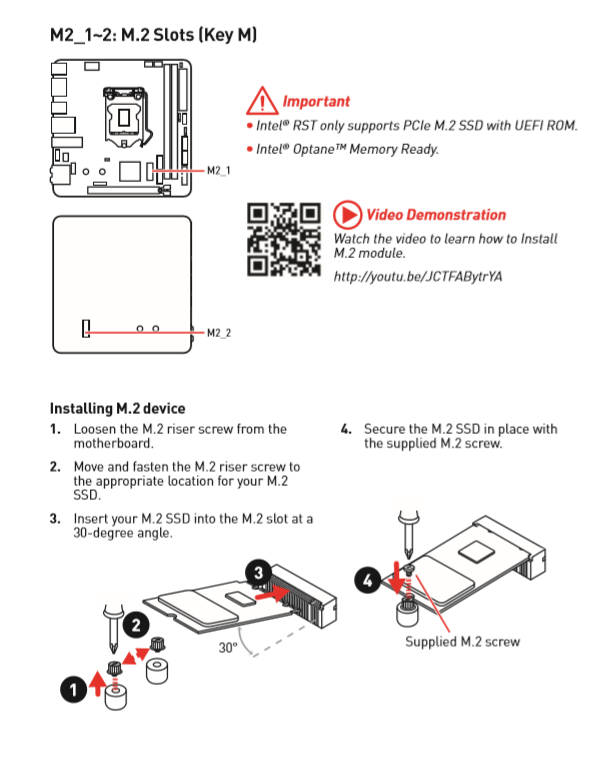 A lot are coming with two M.2 slots nowadays. 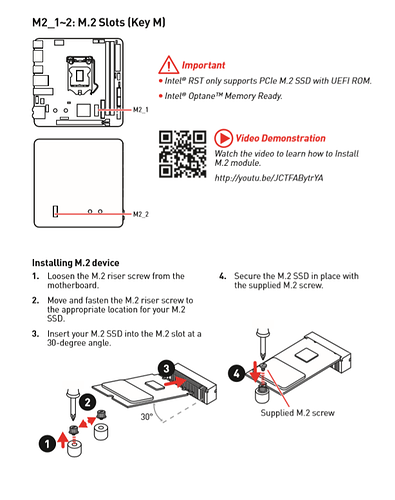 You could still purchase an M.2 expansion card. Checked and motherboard has a single M.2 slot, so you’d have to get an adapter or expansion card. You can find them for USB and SATA. That’s a pretty limited motherboard, but I guess the form factor dictates that. This is your motherboard from here right? 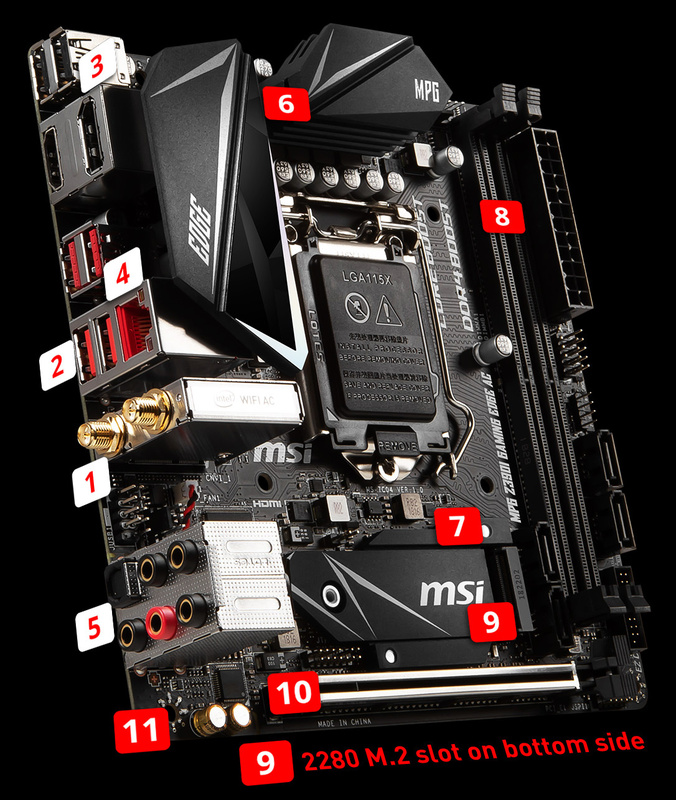 MPG Z390I GAMING EDGE AC gaming motherboard equips full of sharp and salient lines reflecting gorgeous colors design, perfect balance between appearance and performance with Core Boost, DDR4 BoostTwin Turbo M.2, Turbo USB 3.1 Gen2 connector. I think that shows 2 x M.2 and 4 x SATA 6 Gpbs? This is getting a tiny bit ironic though, as you’re sort of doing Bob the Builder stuff now. Shoot, you’re good to go then. Get your new NVME drive and plug it into the spare, then you’re off to the races. I guess I should probably put the rig through its paces the first couple of weeks though before I turn any screws in case I want to send it back. I think Amazon offers a 30-day return without penalty IF the return is for something faulty. I’m sure changing things out would void that return possibility. So maybe I’ll test drive it with some basics, then make the upgrade in 2-4 weeks. Yep, I can understand that. Nothing worse than sweating over a bunch of cables and then seeing it not boot, with thermal paste all over your hands, clip ties littering the floor, the dog munching on a SATA cable etc. 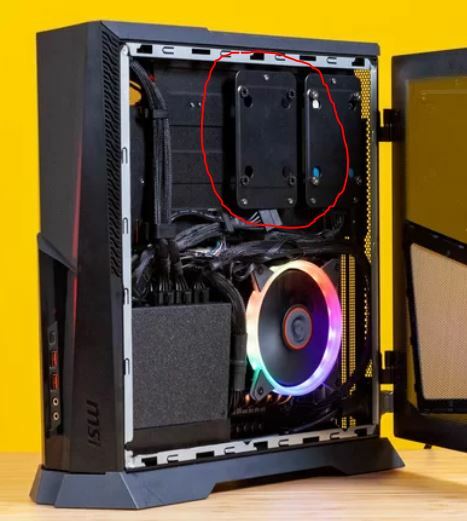 Like @Franze said, keep the M.2 #1 512GB as your OS drive plus bits, stick a 2TB in the back (just check MSI are all good with that extra $300 warranty thing if it needs some deconstruction to get at the back of the board like that first though). The spinny drive with the SATA connection in that bay you can use as a door stop and replace it with a 7200. I would be tempted to leave it a bit though, as maybe you’ll just Ortho it up and it will be good enough? Any thoughts on this M.2 drive? Seems affordable and gets generally good reviews. Might not be quite as fast as an EVO, but do you really notice that with an M.2 type drive? I do think that is where my fear comes from. The last computer I built (that old SimHQ build) I remember totally freaking out about the amount of pressure I had to apply to the mobo to get the CPU fan to seat. I swore I thought I was gonna break the plastic board. Same with seating the chip…I swore I’d bend a pin or something. I hated every second of that part. 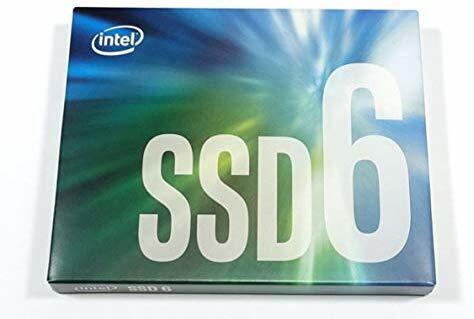 That drive is solid, I’d be confident in an Intel product. If it were one of the no-name brands I’d be concerned, but Intel will stand behind their stuff. 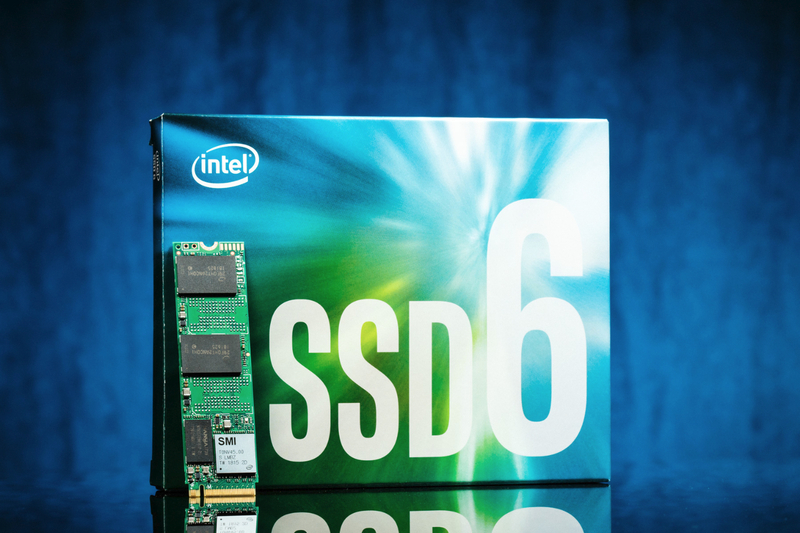 You honestly won’t notice a lot of difference in speed between SATA SSDs and NVME. I don’t know it, but it looks like the QLC stuff is cheaper because it uses caching between faster memory and the NAND chips backend storage, sort of like a hybrid approach (remember the SSD/Spinny hybrids, so of like that). It also isn’t using the newer Intel Optane standard. It’s sort of hard to see if the extra price of something fancier would be justified though. That’s an interesting read. My take - if you aren’t writing a lot, you probably won’t much notice the speed, and if you aren’t writing a lot, lot (like moving super large files and video editing), you probably won’t come up against the write limits for a long, long time. My assumption there is that when they talk about video editing, they are talking about someone who perhaps does it for a living, and not someone like me that might do it here and there. Take a stiff drink first. It’s good to know about, but if you’re thinking of big storage it’ll cost a fair bit. High end stuff, with 2,600 MB/s sequential read vs 570 MB/s with QLC etc. Maybe the Samsung 970 Pro or Evo is a good compromise? The Performance Results page on that Tom’s Hardware link shows a good summary of the performance choices. Take a stiff drink first.